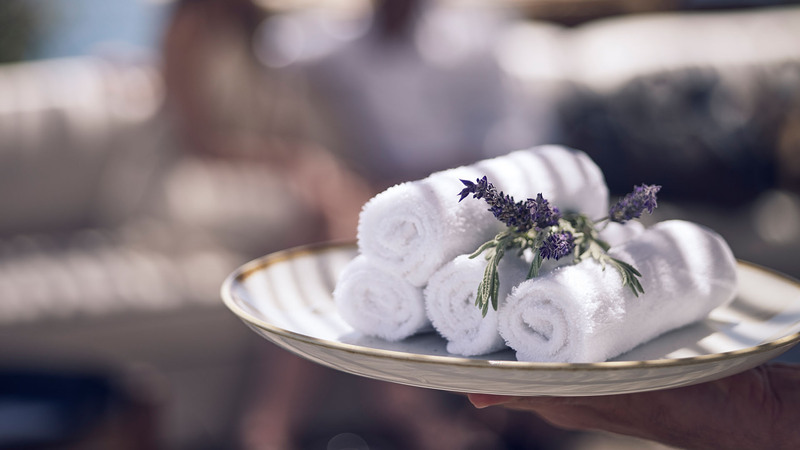 BILL & COO COAST SUITES looks forward to welcoming you back to Mykonos island Agios Ioannis beach when it reopens for the season on May 7th 2019. 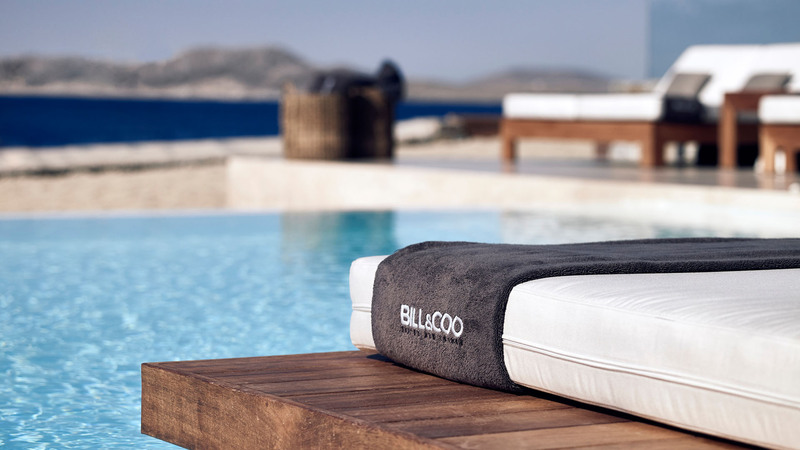 Surround yourself with the luxury of a 5-star beach hotel at BILL & COO COAST SUITES on Agios Ioannis beach, 5 kilometers south from Mykonos town. 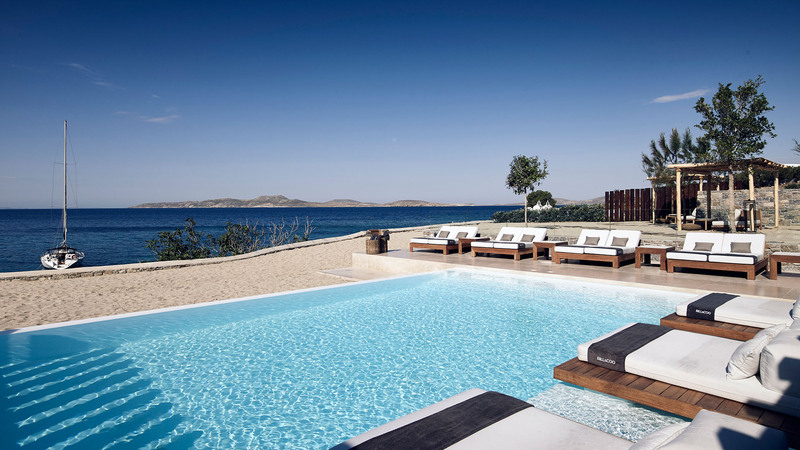 Here, guests can enjoy the exclusivity and privacy associated with boutique beach hotels and the amenities and access of a larger Mykonos hotel. Spacious sea view suites on the beach benefit from modern design and – some at sea level with private pools and direct access to the beach. Personalized services, outdoor pool at sea level, fine dining, waterfront fitness room, were all created on this 10 acre oasis to give our guests a feeling of being somewhere so special, it may only be known to them. 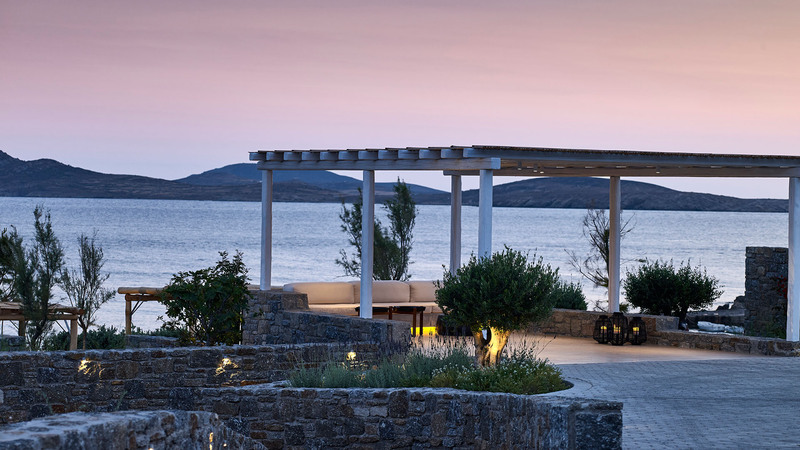 With BILL & COO COAST SUITES hotel on the beach as your home base, experience all the elements of island life – the spectacular Aegean, breathtaking sunsets and vibrant Mykonos nightlife, to name a few — that make this destination truly extraordinary. White washed walls, light oak finishes and airy fabrics lend a beach house feel to the simply elegant spacious suites. All 15 guest suites have sea views, with the ground floor suites featuring the additional privacy and luxury of private plunge pools and terraces. Each of our restaurants has its own personality and atmosphere. 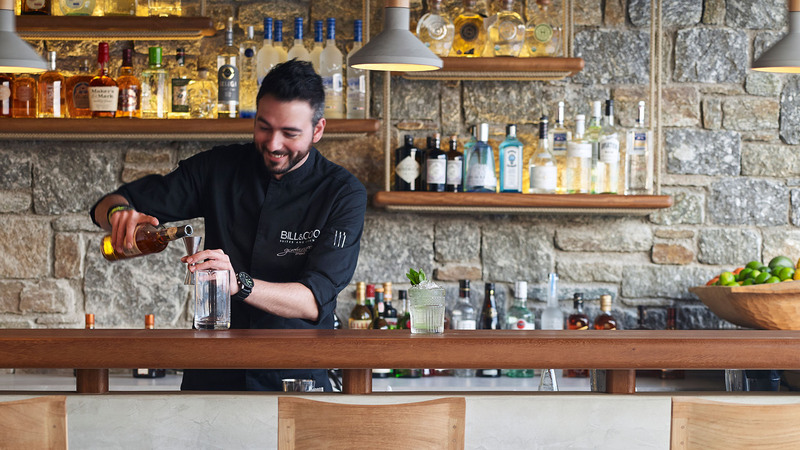 From Modern Greek cuisine to prime cuts of beef on the coast, beach-front private dining or bespoke cocktails we are committed to producing simple options using seasonal, fresh ingredients in all our kitchens.